Hi my name is Lucinda Dignam and why I choose to write about sea turtles is because I wanted to share with all you guy's why we need sea turtles and how we can save them. I also wanted people to know how we are treating these poor turtles and I couldn't take it anymore. Have you ever thought about a world without sea turtles? No sea turtles to see when you're scuba diving. If you think about it sea turtles are a big part of the ocean. But if we work together sea turtles can still be saved. Now you will learn why we need sea turtles, how sea turtles are threatened, how we are helping and what you you can do to help. After listing what you will learn you're probably asking yourself, why do we need sea turtles? Well do you like shellfish everywhere and crab starting at you float by? Well sea turtles eat up all of those invertebrate and sometimes they eat up litter. Therefore we need sea turtles. 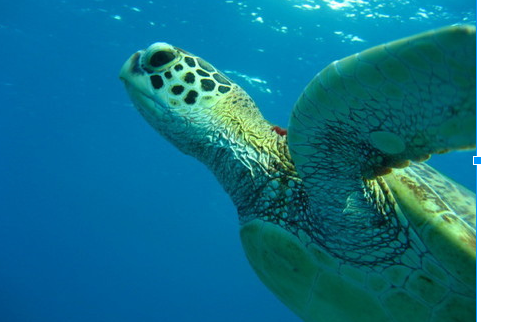 Now are you ready to read more about sea turtles, well here we go! Sea turtles habitat is the Atlantic ocean. The Georgia coast is so important because 5 out of 7 species of sea turtles live on the GA coast. The most common out of the 5 species that live on the coast are loggerhead sea turtles. 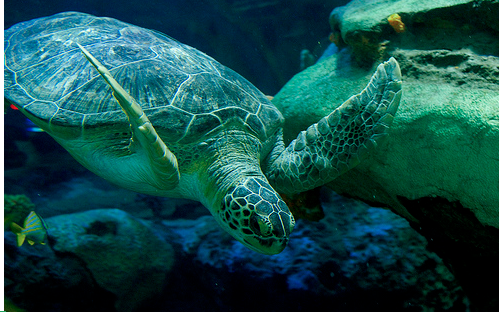 Marine pollution can have a serious impact on both sea turtles and the food sea turtles eat. Also it’s not just us littering, it’s us hunting, fishing, and trawling for shrimp. Sense we are ,hunting and taking away sea turtles food. So the population of sea turtles has gone down. Also when we leave our lights on in nesting season it can make hatchling go over to the condos instead of following the moon. Human activity at night can make a mother sea turtle go back to the ocean instead of laying her eggs. When beach erosion ( e-rosh -shone) happens we can think we are helping by putting back the sand but if we put the sand in the wrong place it can affect sea turtles.How it affects sea turtles is they lay their eggs and the eggs fall through and when the eggs hatch they can’t dig through all the sand to get to the top. A sea turtle’s diet is pretty simple: they eat jellyfish, crabs, shrimp, and a wide variety of shellfish. Sea turtles will accidentally mistake a jellyfish for a plastic bag. The plastic can kill the sea turtles. They don't just eat meat they also eat seaweed for there greens. How the US is helping? The US wants to protect sea turtles so that's why the US came up with ted nets. What are ted nets you ask? Well they are a grid of bar that has a special exit just for sea turtles either at the top or bottom but before ted nets it was dark days for sea turtles. The US has also passed laws that it is illegal to hunt sea turtles. Also they said that it is illegal to trade there shell's for jewelry fans and other things that I don't want to list. How you can help save the sea turtles? Go to website to donate or help out. also you can learn more about sea turtles on this website. Invertebrate. Are carbs, shellfish, and other hard shell perry. Trawling. Trawling or trawling for shrimp means fishing for shrimp. Population. Population means the number of that animal left. Hatchling. Hatchling is a new born sea turtles.